The old Axiom that "self praise is no recommendation" holds true. That's why we at Classic Pianos prefer to pass along comments that others have written about us, instead of writing about ourselves. The selection was great, the salesman, Bob Baker, listened carefully to what I was interested in then showed me pianos that met my needs. Bob took a lot of time answering all of my questions. The Yamaha NU-1 arrived in perfect condition. I appreciated that Don read me well as a customer. Don knew when to leave me alone to noodle around on the different models and when to check in and answer questions. The sales staff is very knowledgeable and friendly (and patient!). 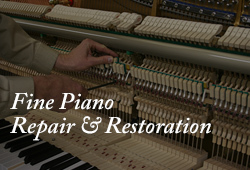 We had a wonderful experience and they helped us get a better piano than we ever thought we could afford. 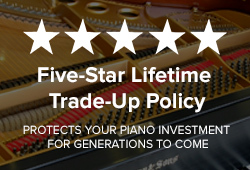 They have a great variety of piano brands and sizes, both used and new, so there is something for everyone. We purchased a beautiful, hardly used piano from Classic Pianos. They polished it up and it was delivered right on time. 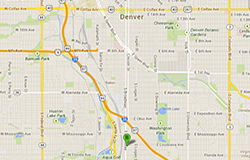 It has been one of the best purchases our family has made and the staff is very knowledgeable and helpful. I can say that I am a picky customer with particular (extended) requirements, and people at this store where very patient and accommodating. It took me at least an hour to find a piano that satisfies my needs, and I am happy with my choice. “This is the first time I have purchased a piano, and when I explained this to Chris Ranney, he was extremely helpful and patient. He showed me the different piano brands, and he played them so that I could hear the differences. I was also given free reign to play for an unlimited time to determine which piano best suited me. In the end, I was very happy with both the service and the piano I chose (a new Hailun Grand).” Martha H.